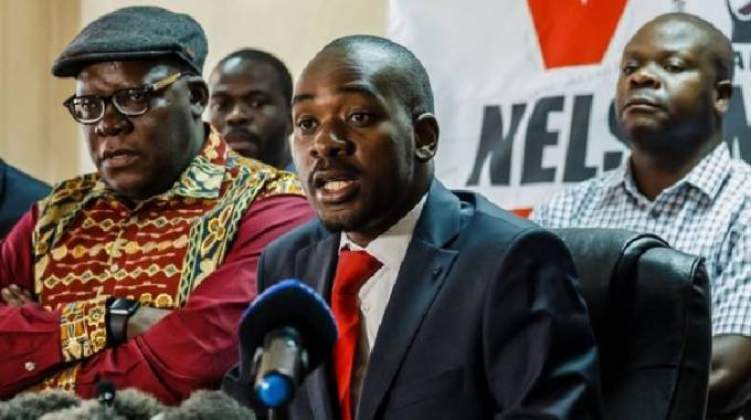 Chamisa was accompanied by Mwonzora, national organising secretary Amos Chibaya, vice president Elias Mudzuri, among other senior party leaders. Following their return, Biti has been appointed deputy national chairman while Ncube was installed vice president, both by Chamisa who took over following the death of founding leader Morgan Tsvangirai last year. "Like the late leader Morgan Tsvangirai said, we should unite and come back. The likes of Biti and Welshman Ncube are back and there is no longer PDP, we are now one huge family." In what appeared to be a subtle warning to Mwonzora and others of like mind, Chamisa suggested challenging his leadership was akin to political suicide, giving the example of former vice president Thokozani Khupe who was forced out last year after a violent leadership tussle with the former Kuwadzana MP.